Attention: Tube will be re-packed when ordered with 1 meter long hard tubes. 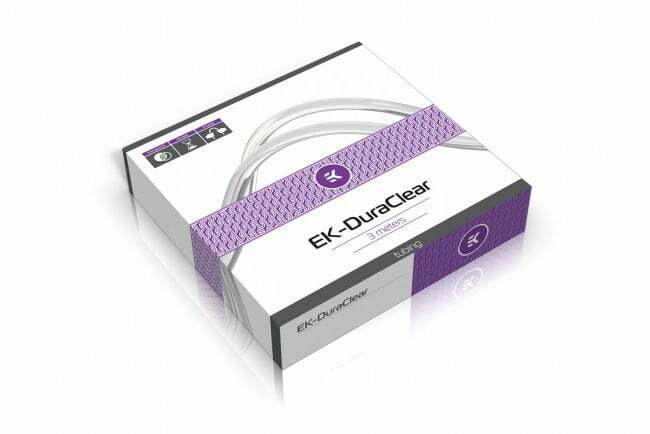 EK-DuraClear is the most advanced liquid cooling tubing, designed and manufactured for the most demanding customers, who want to use soft tubing in their builds. The EK-DuraClear structure is formulated to enable it to perform in a wide range of closed loop cooling systems, making it the top choice for every liquid cooling enthusiast. 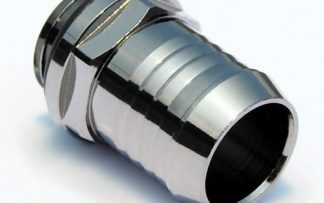 More than 2 years in development, the goal was to create the most durable, flexible and transparent tube on the market. EK-DuraClear has very smooth inner walls and such surface inhibits particulate gathering or entrapment onto the tubing wall, thus reducing the potential for bacterial growth and contamination. Tested in the most extreme environments, the EK-DuraClear is guaranteed to withstand far worse conditions that would ever appear in the everyday use. One of the most important features that the soft tube should have is the flexibility and good bend ratio without kinks. EK-DuraClear has one of the best bend ratios on the market, resisting twisting and collapsing when doing a tight turn in your liquid cooling build. 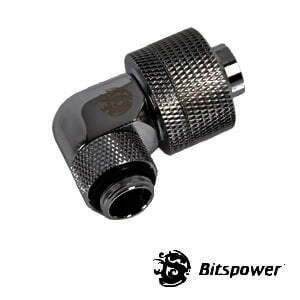 Tighter bends without kinking will allow you to have no reduction in cooling performance whatsoever. Unlike the matte black EK ZMT Tube, EK-DuraClear is “glass-like” transparent tube, designed to be used with EK-Ekoolant cooling liquids. Colored liquid really gives your build a touch of personality and there is nothing more beautiful than matching colors of liquid with your hardware. To achieve the best longevity and maintaining the tubing shine.